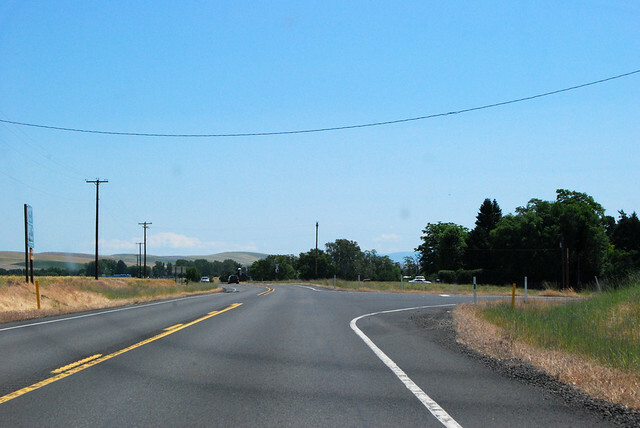 On Sunday, July 3, 2011, we drove the length of Washington State Route 124, through the farmlands of southeastern Washington. 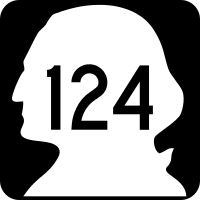 Just across the Snake River from Pasco, SR 124 has its western junction with US 12. 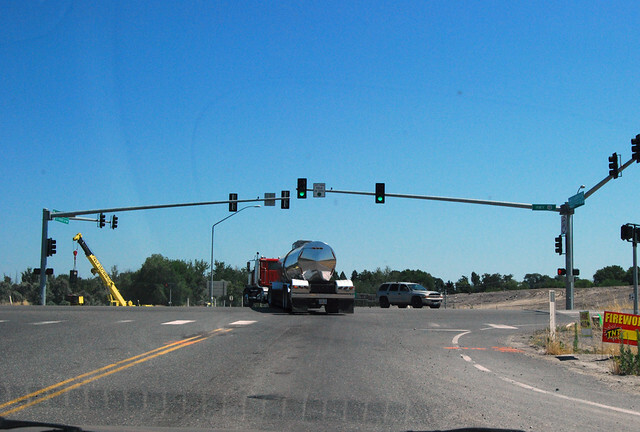 WSDOT is currently replacing this stoplight with an interchange, but for now, this is what we have. 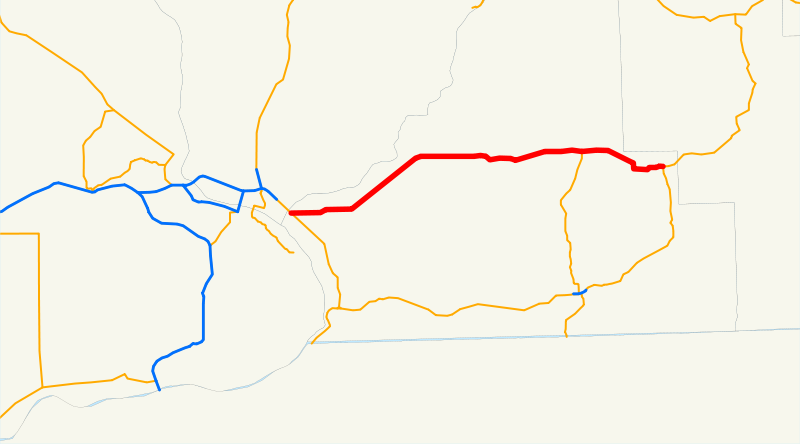 SR 124 zips across the farmlands for many miles, then dips into the canyon known as the Touchet Valley. 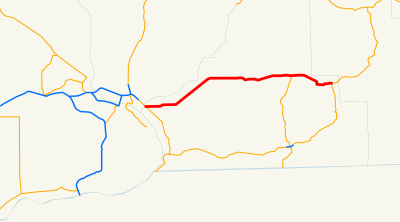 We are cruising for Clarkston, avoiding Walla Walla, etc. 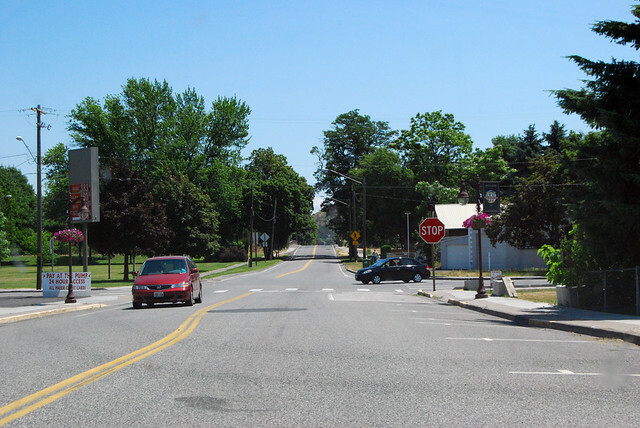 Just before the town of Prescott, we find the junction with SR 125. Did you want to go to Walla Walla, after all? Ten miles further up the valley, SR 124 enters the city of Waitsburg. Here at this stop sign, the route meets its end. Continuing straight is US 12. See that park on the left? Doesn't that look like a nice place for a break? It is.